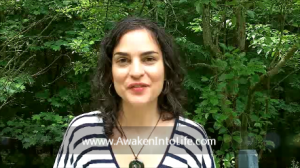 Awaken Into Life» Struggling to Live up to Expectations? If I am to sustain myself, my family, and my business, I must find balance. I can only do this by listening to my body and balancing good self-care with my obligations. Obligation. Let’s look at this word a bit. Why do I feel that cooking and cleaning and making appointments for my family is an obligation rather than a choice or even a joy sometimes? Because it’s what’s expected of me? When I am free to be me, when no one has expectations set up for me, I feel free to be loving and nurturing. Expectations drag me down and make me feel like I will not live up to something properly. I want to be free to be me. To be kooky, free spirited and completely authentic. And it’s not just me as a woman. Men feel this pressure too. I do this with my husband. I expect him to take the garbage out. It’s heavy and I don’t like to carry it down the steps. Could I carry the smelly bag down the stairs and out to the big can? You betcha. I know some wives who keep to-do list for their spouses. This seems to work for them. I’m pretty sure though that if my husband made a to-do list for me I would tear it up into tiny little pieces and throw it at him. I have an eternal to-do list always running through my head and high expectations for myself already. I’m not looking for someone else to list their expectations for me. It wouldn’t take my relationship to the happy place. A practice that I use to positively cope with the expectations that others set for me is mindfulness. Mindfulness is living in the present moment rather than aspects of the past or of the future. Here are 7 qualities of being mindful that may shift your perspective. First, choose an everyday task to do. Something like laundry, dishes, or preparing supper. As you do the task, let any thoughts arise. Don’t judge your thoughts or yourself. Start with a beginners mind. Don’t come to the practice with expectations. Be in the process of discovery and let the moment unfold. Trust yourself. Trust in your intuition and your abilities. Give up striving. Be fully present and aware in the moment. Be willing to see things as they truly are, as we truly are. Accept who/where you are. Let go of thoughts that distract you from the present moment. 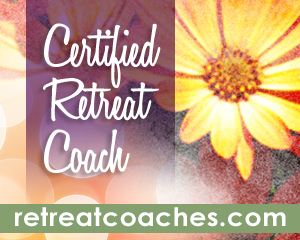 This is our opportunity to take control of obsessive thoughts by returning to the breath. May you experience newfound joy in everyday tasks through a mindful living practice.